We've all heard about the platypus - that handsome part mammal, part duck creature that was thought to be an elaborate hoax when it was first found? Well, we expect only great travesties from Australia. But did you know, there is only one other semi-aquatic Australian mammal? Upon discovering it, English naturalists had probably already run out of names to give Australia's ridiculous fauna and so they went with something simple - a water rat. My guess is, either you've never heard of the water rat, or never thought that there would be anything interesting to know about it. Before you think this is just a rat that likes to swim, let me hit you with a few facts first. 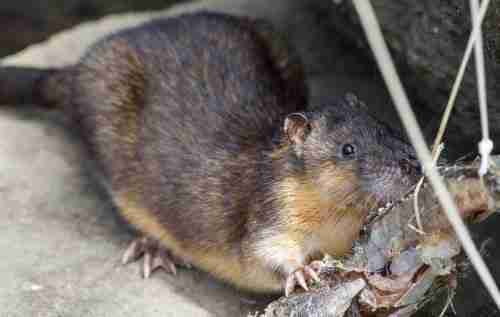 Unlike other rodents, the Rakali (the native name for the water rat) is actually a predator and an excellent hunter. It even has the unique ability to kill cane toads without falling victim to their toxic poison. 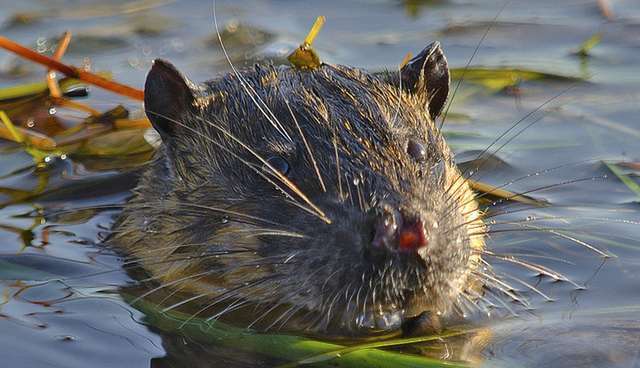 Perhaps you'd be surprised to find out what the water rat actually eats. Besides insects and fish, its favourite meal is.. yabbies! Yes, imagine a swimming rat that hunts Australian lobsters and say that's not awesome. 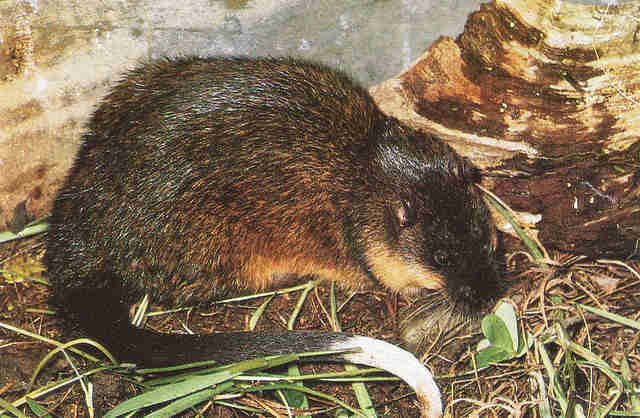 Many Australians don't know about the water rat and often mistake it for a pest rat. Consequently, the rakali has been wrongfully trapped and poisoned for years. The best way to distinguish it from a pest rat is its furry tail, which has a distinctive white tip. 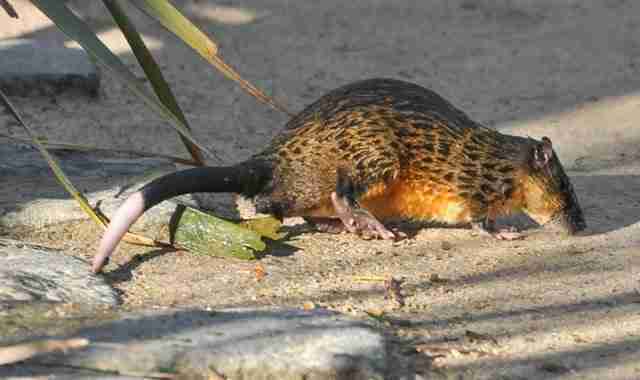 As we've pointed out, the Rakali is no ordinary wet rat. It has adapted to the aquatic lifestyle so much, that it's acquired a fabulous, seal-like fur. It's soft, dense and water-repellent, as if especially made to aid it in fulfilling its destiny - killing lobsters. 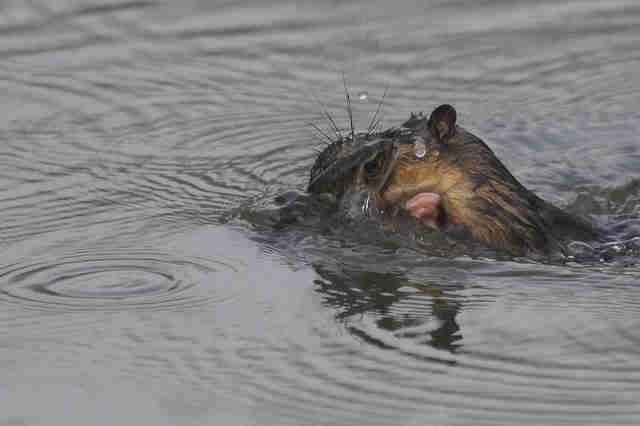 Unfortunately, every coin has two sides and the water rat had to find that out the hard way. Up until 1938, it was hunted for its soft fur almost to the point of extinction! So you see, the water rat must be all too confused by the human species. First it's being hunted for its gorgeous fur, then it's hunted for In certain areas of Australia, however, regulation laws have finally been passed to protect the water rat population, which is gradually decreasing, while not officially considered threatened. Add this to the rakali's "I'm not just a rat" list. 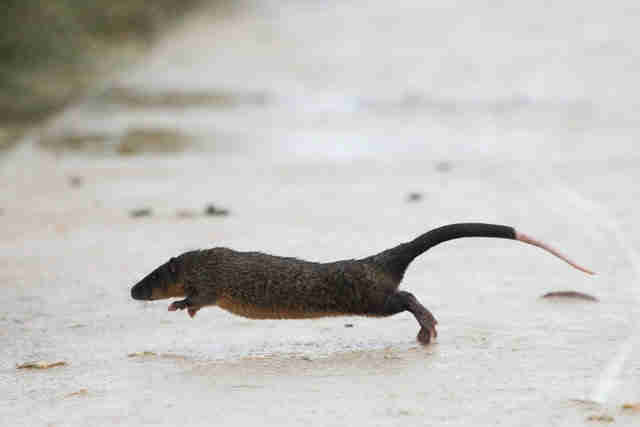 The water rat has developed special, partly webbed feet, that have not only made it an incredibly fast and skilled swimmer, but also look adorable. Now it's time to say what's on everyone's mind - the rakali is exactly what the love-child of an otter and a regular rat would look like. Many of its features and habits have made scientists consider it similar to the otter species. For instance - it always swims with its eyes and nose above the water. On the other hand, they found its similarities with rats far more substantial and that was reason enough for naming it so bluntly. When you think about it, though, that's maybe another reason to like rats better!